After receiving an indefinite delay and a change in screenwriter, the fifth Indiana Jones movie finally has a new release date. According to The Hollywood Reporter, Disney has locked in the new crusade to see release on July 9, 2021. The release date delay was initially announced only a couple of weeks ago, and coincided with the production bringing on a new screenwriter — specifically, Solo: A Star Wars Story's Jonathan Kasdan. It's a little surprising that the movie managed to secure a new release date so quickly, since from sounds of the news, the movie needed time to be retooled by the new writer. According to the new THR report, Kasdan won't just be punching up writer David Koepp's existing script, but rather will be responsible for writing a whole new draft. This move also marks the second time that the fifth Indiana Jones movie has been delayed. Originally announced in March 2016, it was initially scheduled to land in July 2019 before moving to a July 10, 2020 release date. Even though Disney and Lucasfilm have declined to take the movie off their release schedule over the years, It's fair to have some doubts at this point as to whether this movie will really happen, despite director Steven Spielberg's insistence that the project is a priority. 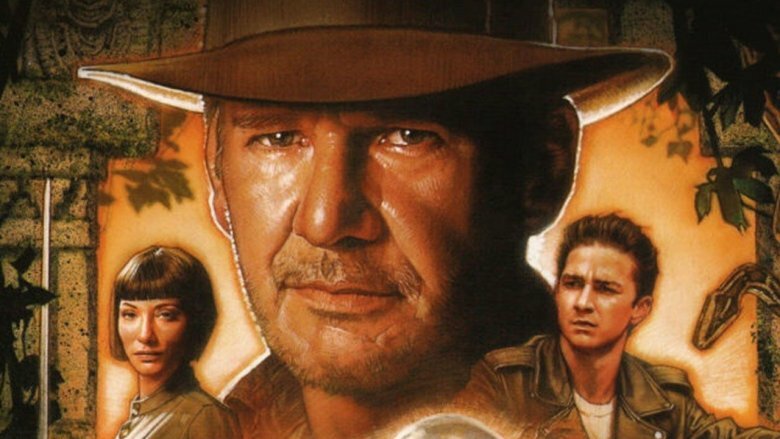 If Indiana Jones 5 were to make its 2021 release date, it would be arriving right before star Harrison Ford turns 79 years old, making him 20 years older than Sean Connery was when he played Henry Ford, Sr. in Indiana Jones and the Last Crusade. The advancing age of the franchise hero, who became popular when Ford was in his late 30s, is of natural concern for fans of the action-adventure series. The timing begs some questions, such as… well, hey, do we really still need to do this? Is a man approaching 80 really going to convincingly be able to go on a world-spanning, bare-knuckle-brawling adventure? And if not, do audiences even want to see the so-called "mantle" of Indiana Jones passed on to a new man or woman? Your mileage may vary, but we've yet to be convinced. At least we can count on the movie throwing out some self-referential, dryly-witty, geriatric humor for the audience — especially if Jonathan Kasdan brings his Solo sensibilities over to Harrison Ford's other iconic property. "Throw me the idol — I'll throw out my hip," right? Ah, we can't wait. We'll have more on Indiana Jones and the Legend of the Life Alert (or the City of Atlantis, the Pick of Destiny, Curly's Gold — whatever) as news develops.